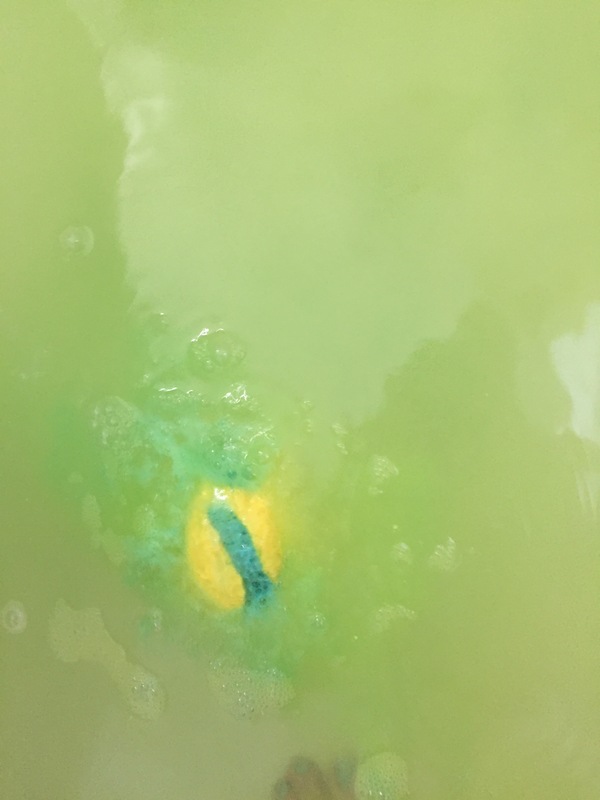 This bath bomb is from Lush’s Christmas collection which is pretty weird to me since it has some serious summer vibes. 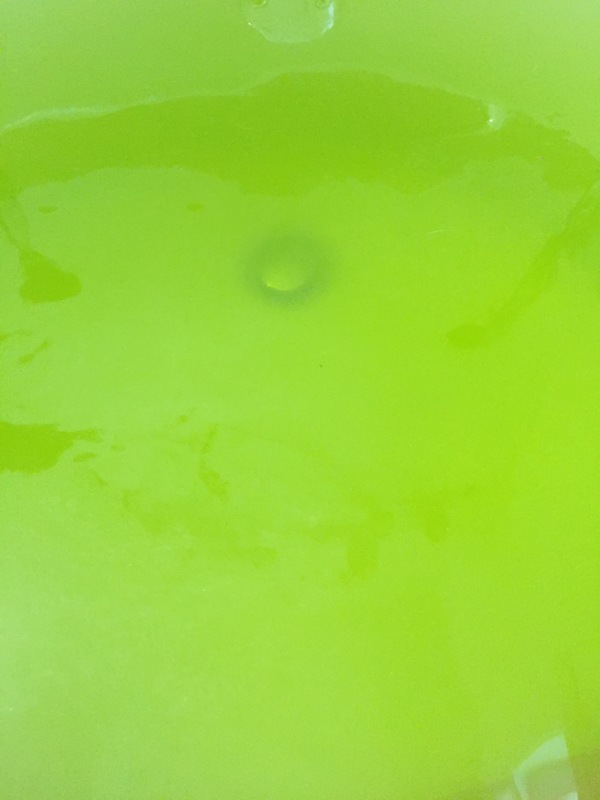 It is bright yellow but the centre is blue which creates a pretty cool lime green coloured water. This smells kind of like..grapefruit? I’m not exactly sure but it smells fantastic and again, very summery. This is only here for a limited time as it is part of their Christmas collection. 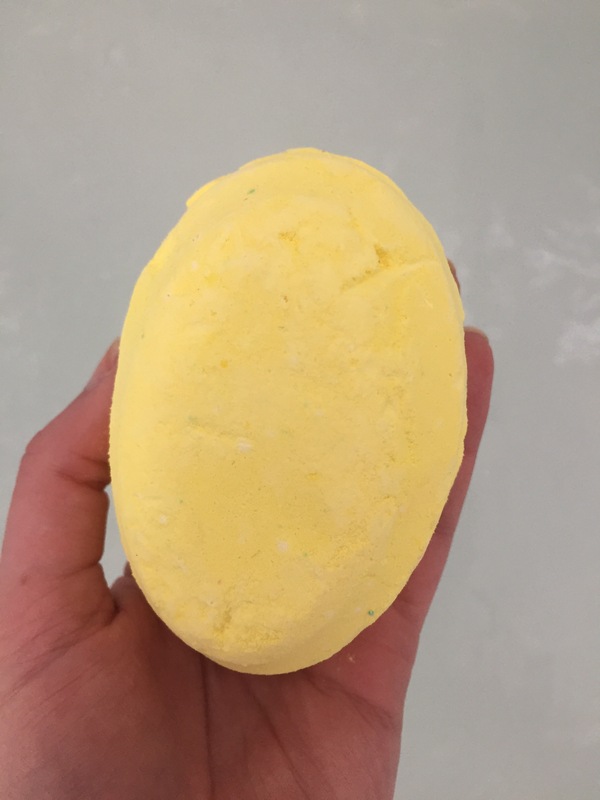 If I’m at a Lush again and they have this, I’d buy it again. As I’m sure you guys know, I’m seriously obsessed with Lush and especially their bathbombs. The swirly colours and smells are reassuring to me and they help my anxiety. Just sitting there and watching the bath water changing and swirling helps me relax and focus on that instead. If you have anxiety then I definitely recommend trying a bath bomb to help sooth you a bit. Or even just for anyone to help them relax. Any anxiety tips that you guys have? Or bath bomb recommendations?